With the start of Heroes Convention 2014 in Charlotte, NC, we reflect back on the history and progression of comics and where it has lead us today. Heroes Convention is held by Heroes Aren’t Hard to Find Comic Shop in Charlotte, NC. For the most part, comics have been around in some form since the early 1900’s. But, in the early 90’s, comic books took the world by storm. Some would even argue this is what led to a comic book crash. In today’s comic book world, you have physical and digital comics. Digital comics are a great way younger audiences can catch up on older, pricier titles and also a great way for people to travel and not worry about causing damage to their comics. With the modern convince, there comes a sacrifice. With digital, there is no medium to get your favorite artist to sign your copy. With physical, there are even some blank variants that allow you to get custom artwork drawn on your book by your artist of choice, giving you a customized, unique piece for display– something that the digital comics just can not provide. As a child, Batman and Superman were always the bigger icons. Today, even the lesser known heroes and villains are gaining traction, due to CosPlay. CosPlay is short for costume roleplaying. This is what makes the conventions that much more exciting. To a lesser extent, it’s a huge costume party. Kids, teens, young adults, adults and even seniors participate in CosPlay. 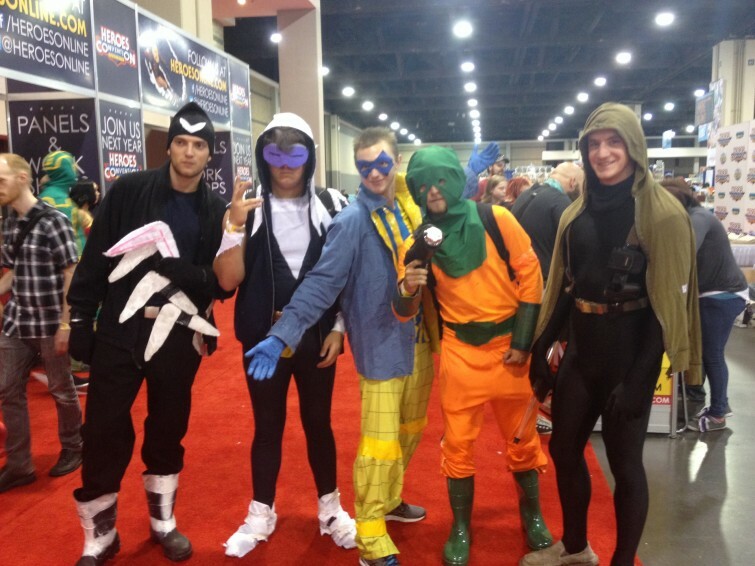 Ranging from comics books characters to video game inspired CosPlay. Over the next couple of days, we will be highlighting some of the best CosPlay and overall excitement from around the convention floor.